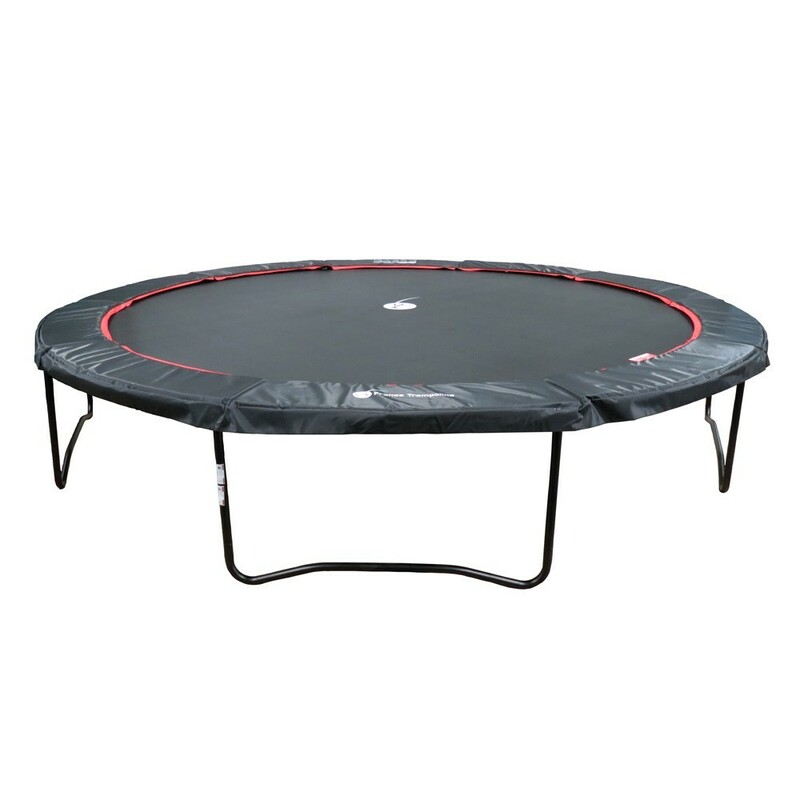 16ft black Booster 490 trampoline without enclosure for intensive use. Round 16ft Black Booster 490 trampoline sold without the safety enclosure. Our most spacious trampoline in terms of jumping surface, this trampoline can replace your old one if the safety enclosure is still in good condition. 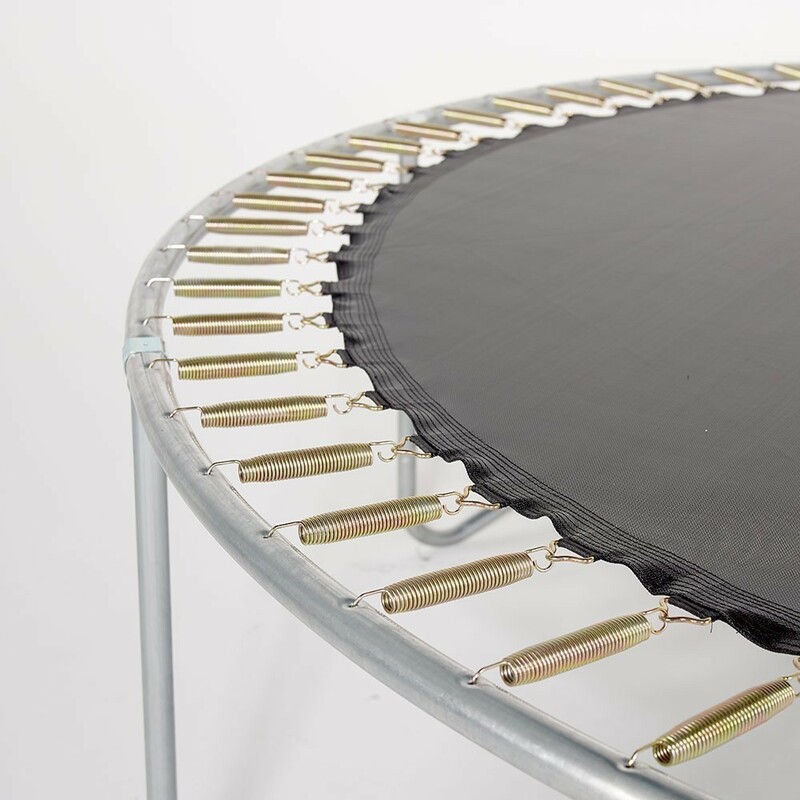 This trampoline is adapted to children and adults alike, looking for a high-performance trampoline. - Is your safety enclosure compatible? 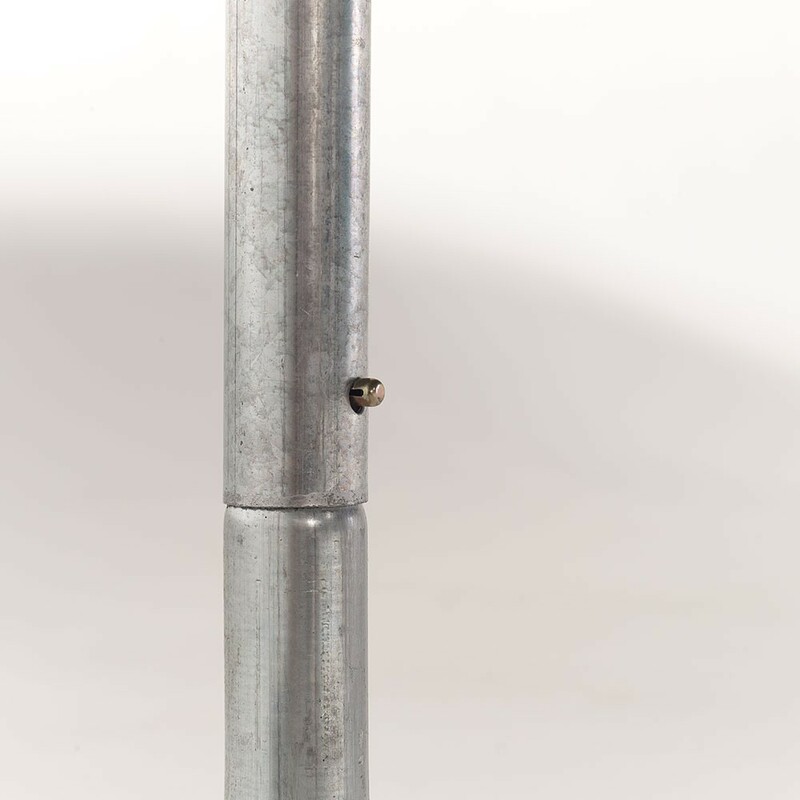 Please check that your enclosure has 10 net posts and that the feet are not pre-drilled as our net post are not fixed with screws but with brackets, to not damage the metalwork. 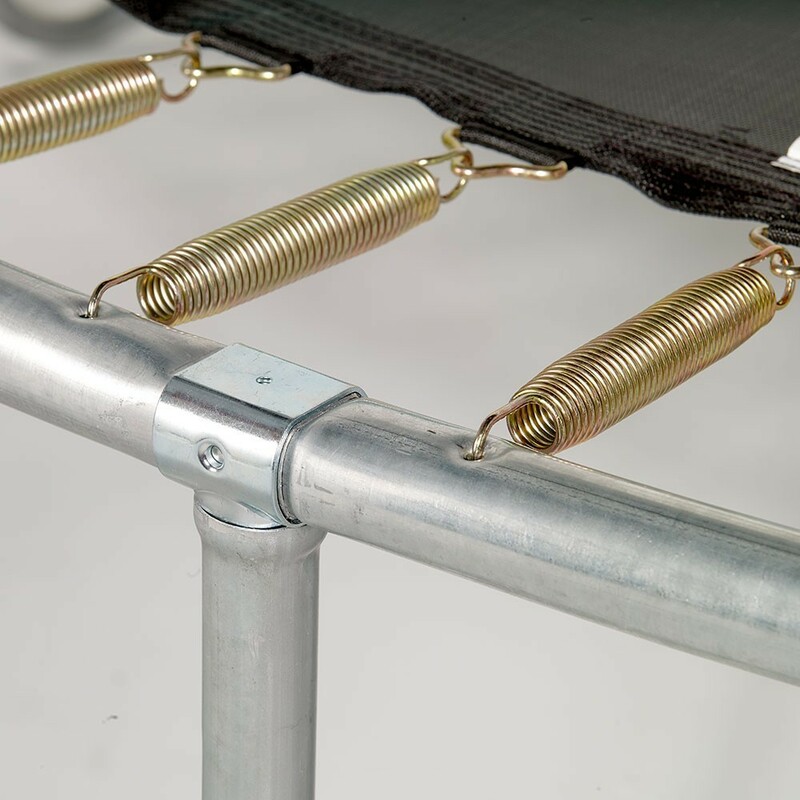 - Thanks to its 120, 230 mm long springs, the jumping mat is very dynamic. - 14 sqm for unlimited fun! 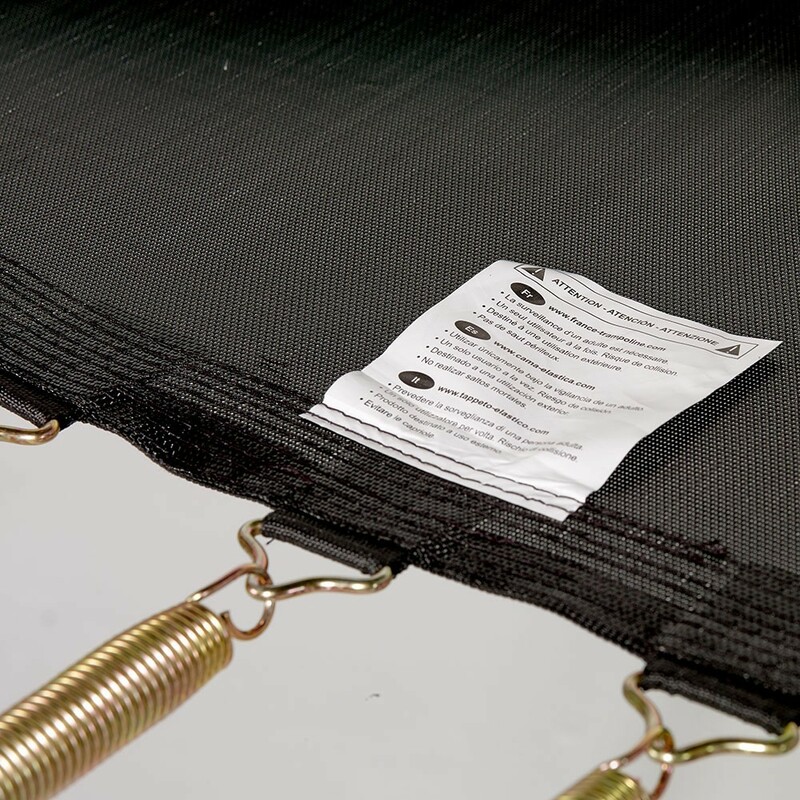 We provide robust jumping mats made from polypropylene mesh, consolidated with 8 rows of stitching and a reinforcement band around the edge of the mat. - 2 mm thick and 48 mm wide galvanized steel tubes. These elements are joined together using T-junction components to avoid any welds and any screws. 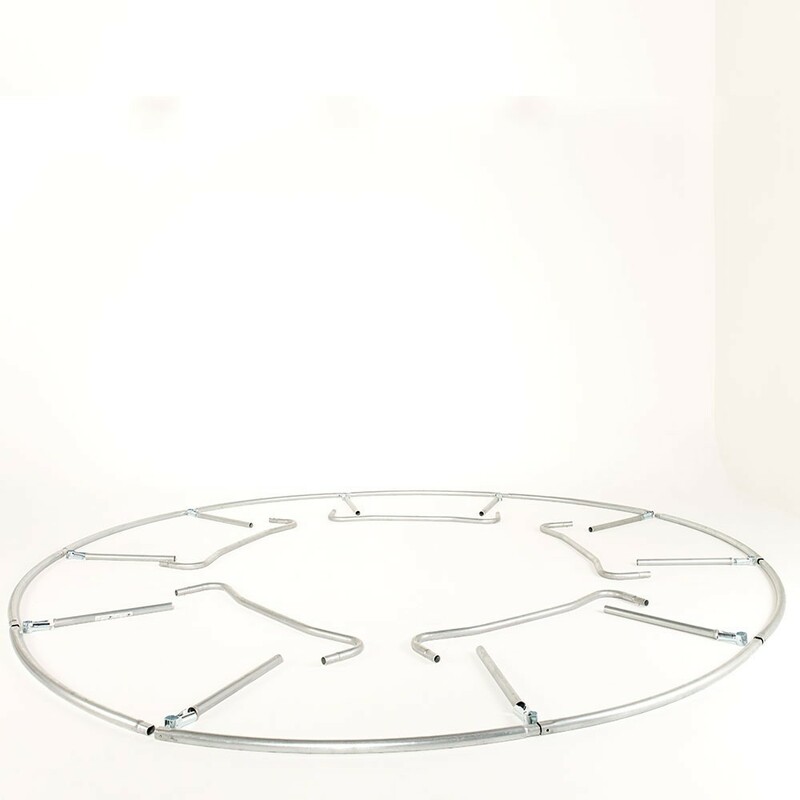 These components make the structure very robust, withstanding up to 170 kg and resistant to corrosion. - User safety guaranteed thanks to our 31 mm thick, mono-block foam frame pad. It will stop jumpers from falling on the spring area. The black and red high-density PVC cover is waterproof and resistant to harsh outdoor weather.